For someone from Tokyo, Osaka has a very strange way of naming their stations, but the opposite can also be said of Tokyo by people from Osaka. In Osaka, every company names their stations differently. It can be very confusing when you have JR Osaka Station surrounded by Umeda Station. Even Umeda Station isn’t completely Umeda Station as Umeda is technically used by the subway system and Hanshin and Hankyu add their company names to their train stations. It’s really confusing if you don’t know the difference, so you need to be careful. 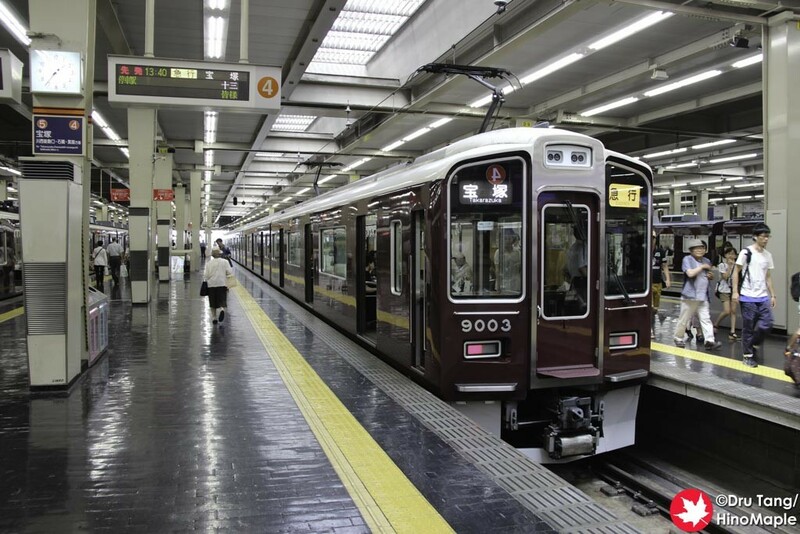 On my most recent trip to Osaka, I had a chance to use the Hankyu lines. I never thought it would be interesting at all but it turned out to be a lot more interesting than I could have imagined, and a little confusing too. 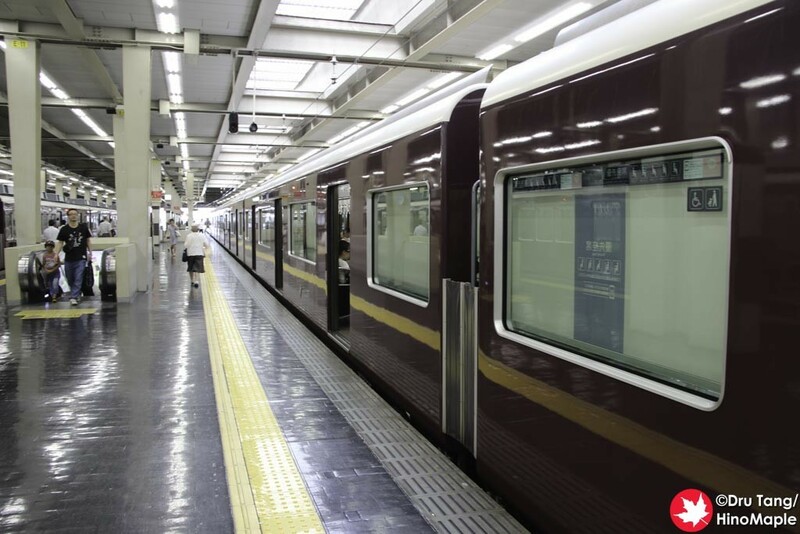 Hankyu Umeda Station is the final stop for all Hankyu trains. There are actually 3 lines that run to this station and the station is pretty big too. You really need to be very careful on what train you board as several trains leave at the exact same time. I accidentally boarded a Kobe Line train rather than the Takarazuka Line train. I was concentrating on the departure time rather than the destination, but thankfully I was being careful and noticed my mistake. You really have to be extremely careful as the train I departed on was one of 3 trains that departed at the exact same time. The trains on the Hankyu lines were all very nice. They look old due to the paint colour they use. The dark brown colour evokes the feeling of an old “romantic era” of train travel. Once you get inside the train is very modern and very new. There are TV screens within the carriages and nice seats as well. I was a little surprised by how “luxurious” everything felt even though it was just a normal train. 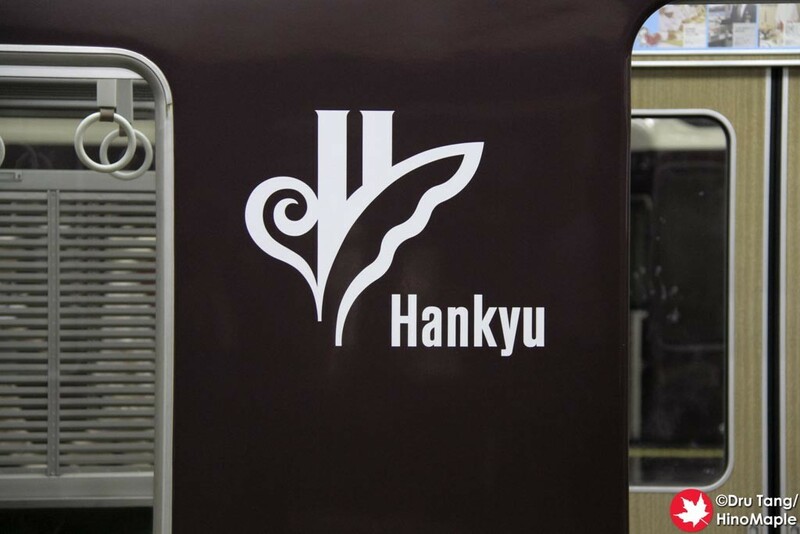 I really did enjoy the Hankyu lines and wonder when I’ll be on it again. This entry was posted in Trains and tagged Hankyu, Hankyu Umeda Station, japan, osaka, Osaka Station, train, Umeda, Umeda Station by Dru. Bookmark the permalink.